On Saturday, August 11th, we will be hosting our fourth annual Aqua-Run! The Aqua-Run will be a 10K relay race in Elmwood Park. The catch? Runners will be carrying a half gallon of water on their backs in the form of a hydration pack! Each runner will carry the pack for their individual leg of the race and then hand it off to the next person on their team. The distance was chosen to represent the distance women and children travel every day in South Sudan to collect water, which is often contaminated. 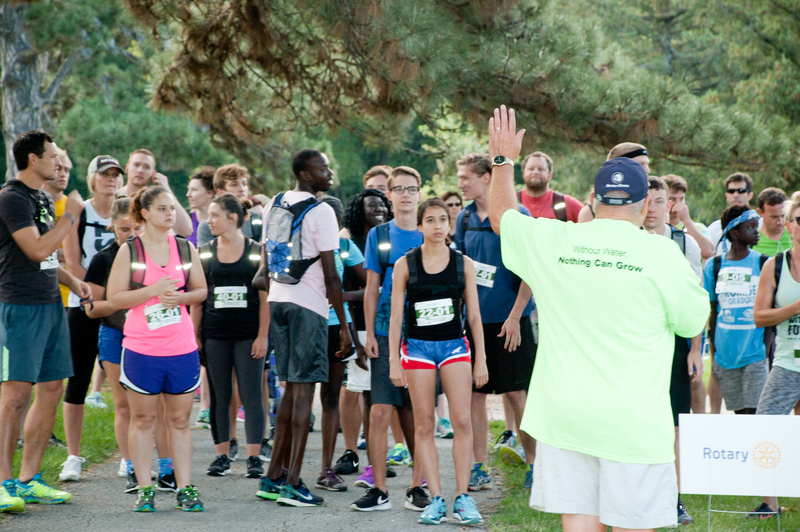 All of the proceeds from the race will go towards the installation of a new water system called “Village Supplier”, which will provide clean water for over 10,000 South Sudanese. Does this sound like something your interested in? GREAT! Gather a team of five and sign up HERE! The cost is $20 per person, but for every team a local business will donate $500 to our mission. So by simply running this race, you are raising over $500 for the people of South Sudan! Not a runner? That’s okay! We also need volunteers to help us prepare for the race, set-up the race, direct/cheer on runners at the race, and to help with water/snacks at the race! Email Buey at bueytut@aqua-africa.org if you are interested in volunteering. We guarantee this will be an opportunity to have some fun while supporting a great mission! Don’t forget to check out the Aqua-Run website. Mark your calendars for August 11th! We hope to see you there!